Good drivers are getting harder to find, the whole logistics industry is facing a huge resource crunch and challenges that come with it. Due to massive demand drivers often drivers switch delivery companies or work for multiple companies at the same time. This makes monitoring them imperative. The Easy logger makes driver tracking simple and cost effective, Our driver monitoring system resides as an invisible mobile app on the drivers phone and sends information to the cloud console. The software is battery safe and the resulting battery usage from the tracking activity can barely be noticed. The system can be used for several drivers within the same console, this becomes a dispatcher console to monitor all of your drivers and vehicles from a single console while making decisions on how a load is to be moved. 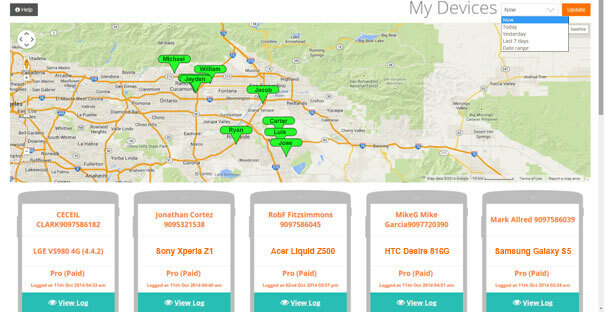 In addition to live location tracking the application archives location logs so you can trace the complete driving pattern of a driver to see how the drop or pickup was made. Texting or talking on the phone can be a big problem, to ensure your drivers keep their eyes on the road the Easy logger includes an ability to report on text messages and phone calls so you know if the phone was being used while the vehicle was in motion. At $4.5 per month the software costs a tenth of comparable solutions with no setup costs or contracts.